One of the most common worries with fleet management software is the cost. What is it going to cost to install GPS on all your buses and vehicles? What will it cost to maintain? After all, there’s only so much budget to go around. The better question to ask, though, is can you really afford not to have a GPS tracking system? Ultimately most GPS tracking solutions end up paying for themselves. How? They track things like bus idling and speeding. This data allows you to increase fuel efficiencies and reduce cost. Additionally, you can monitor driver behavior and provide training and guidance where it’s most needed. In the end, this can lead to better drivers, fewer incidents, and decreased insurance costs. Another cost saving option is to track driver time and attendance. Systems can be used to log in and log out and provide a web-based timecard system. This allows school systems to view planned versus actual reporting, and even to integrate with payroll to eliminate time-consuming and expensive manual entry. Too often schools overspend on fuel as prices continue to rise. GPS can help by allowing for reduced fuel usage through less idling and better driver behavior. Let’s walk through an example of how you can save money on fuel with GPS. Say your district has 100 buses, and the average cost of fuel is $2.00/gallon. Using data from the GPS system, schools can save about ½ gallon of fuel per day per bus through idle reduction and improved driver behavior. If the school year is 180 days, this is approximately $180 in savings per bus per year, or a fleet-wide savings of $18,000 annually. Route efficiency is important to school districts. Running inefficient routes leads to excess mileage and potential service issues. 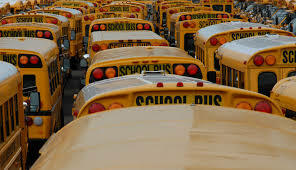 With a fleet management software solution, schools have route data integration functionality. They can compare planned versus actual route information and review all stops made. Essentially, they are better able to manage their routes and contain the cost of routing. day per bus, based on fuel and maintenance costs. When you consider your average maintenance cost per mile, the savings begin to really add up. HOW MUCH CAN YOU SAVE IN PAYROLL? Inaccurate timekeeping and reporting can be expensive for school districts. With a time and attendance solution in place, drivers can clock in and out from their vehicles. This eliminates paying for non-driving time. On average, it saves 15 minutes per driver per vehicle per day. Depending on your hourly rate and number of drivers, the savings can multiply quickly. For example, imagine your drivers earn $15/hour, and you have 100 drivers. Increasing your payroll accuracy by 15 minutes would equate to a savings of $375 per day, or an impressive $67,500 in annual savings. A fleet management solution allows you to stay connected with your fleet and save money in the process. It is never easy to manage a complex budget. But tools such as GPS can help. The instant visibility allows you to better manage your buses and drivers. With GPS, reports can be built to help increase efficiency and ultimately save money. Track variables like idling time and costs, speeding, and driver performance. 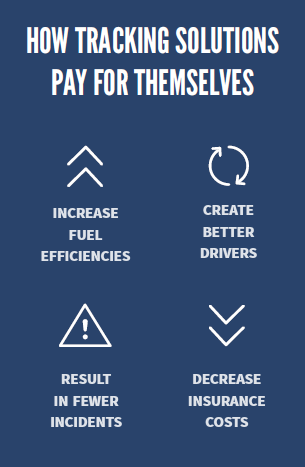 Then use the data to significantly reduce your fuel consumption and overall cost. Or consider allowing your drivers to log in directly from their vehicles. The system can connect directly to your payroll, reducing man-hours and eliminating mistakes, and thereby decreasing unnecessary labor expenses. In the end, whether from fuel, mileage, or payroll savings, GPS ends up paying for itself over time. Want to learn more? Download our new magazine, Ridealong with Synovia Solutions, to read about the many benefits of GPS tracking. Here at Synovia, we believe schools should have instant visibility into their fleet of buses. We also strive to help our customers increase savings, improve safety, and enhance customer service with our fleet management solutions. These are just a few of the reasons we’re happy to publish our first edition of Ridealong with Synovia Solutions, our magazine dedicated to the transportation needs of the K12 industry. We want to give schools an inside peek into the biggest challenges faced by transportation departments, and explain how to solve them. You can download your copy here. In this edition, we start with some insights into GPS tracking. 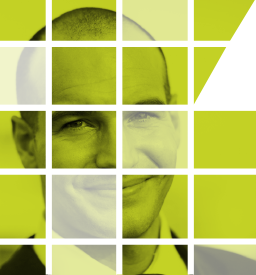 We’ll share key stats and surprising metrics that we’ve been seeing in the K-12 market. We’ll also identify some of the latest and greatest offerings that telematics is bringing to school districts around the country. We’ll uncover some of the best ways to stay on top of your fleet including video surveillance and the use of school bus apps such as Here Comes the Bus®. In the next section, we’ll explain how you can pave the way with GPS. From selection through installation, we walk through what schools can expect with a new fleet management solution. We’ll expose the risks faced and help you understand how to select the best solutions and partners for your district. We’ll also explain how to better protect your biggest assets, and why with Synovia you don’t have to ask – you know. We’ll wrap up this edition by unveiling our new software platform. We’re very excited to roll out this enhanced and improved experience for our customers. We are confident you’re going to love it. And finally, we’ll explain how to overcome some of the biggest challenges faced by transportation departments and discover what makes Synovia stand out among other telematics companies. 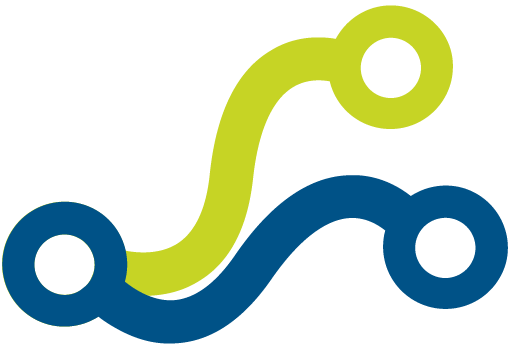 We hope you enjoy this inaugural edition of Ridealong with Synovia Solutions and look forward to continually providing you with the most up-todate fleet management information. School bus safety is always top of mind for parents, bus drivers, and administrators alike. It’s th e same way for us at Synovia Solutions as well. We’ve identified three trends in school bus safety that have dominated the first half of the 2015-16 school year. Let’s take a look at what’s happening – and how your school district could be affected. In November, the National Highway Traffic Safety Administration (NHTSA) officially endorsed and recommended three-point safety belts for all school buses. In the past, the NHTSA has maintained that belt-less buses were safe, and acknowledged that retrofitting buses with belts would be costly. Their stance has now changed. "The position of the National Highway Traffic Safety Administration is that seat belts save lives," said NHTSA administrator Mark Rosekind. "That is true whether in a passenger car or in a big yellow bus. And saving lives is what we are about. So NHTSA's policy is that every child on every school bus should have a three-point seat belt." Any rulemaking effort from the NHTSA will face opposition, though. Adding seat belts to buses is an expensive endeavor. It can cost around $500 per seat on a full-size bus, meaning a total cost between $7,000 and $15,000 per bus in many cases. When school districts around the country are already strapped for cash, that investment simply may not be feasible. The fact remains that seat belts save lives, though, and some states and school districts are moving forward despite the cost. The Rhode Island general assembly will consider a bill in its next session that would require all new bus purchases to include seat belts. The Houston Independent School District has already implemented the same requirement. In both cases the rule applies only to new buses, meaning that older buses will not be retrofitted with belts. This will increase the cost of new buses, but the burden on districts will be lighter than if older buses were also required to have belts. This is likely the safest, easiest, and most cost-effective way forward. School districts nationwide are having issues finding, hiring, and keeping good bus drivers. Only six percent of contracting companies this year reported that they had enough drivers (down from 15 percent just last year). This is partly because the economy is stronger than in recent years, so fewer people are seeking part-time work. This shortage is also due to heavy regulation of drivers. The strict requirements to become a driver are necessary to keep students, as well as everyone else on the road, safe; however, these stipulations can deter people from pursuing a bus driver position. As a result, many districts are desperate for new drivers. From Minnesota to Colorado to Virginia, school districts are creatively recruiting new drivers to minimize the shortage. It’s critical, though, that standards and training are not sacrificed in an effort to fill out a driver roster. In fact, the desperation to find drivers makes training even more important, and it’s something no district can skimp on. When a new driver isn’t properly trained, it can cause major problems. Due to this, districts are using newer and more modern training methods to give drivers experience in a variety of situations. Advanced simulators give drivers hands-on experience in maneuvers that they may not typically encounter. They also provide a safe situation for practicing more complex training exercises, without having to worry about damage to a bus or equipment. This way an inexperienced driver can safely and quickly become proficient before he picks up a single child. Part of that training is learning routes, and that can’t be done in a simulator. It’s important for managers to be able to monitor routes to make sure drivers are hitting their stops and driving efficiently. A tool like Synovia’s Comparative Analysis compares planned routes to actual routes using GPS tracking data. This information can be used to show new drivers where they’re going wrong, and how they can improve. If someone’s routinely missing a turn or taking the long way, they may not even know – and information is key. Internal cameras have been popular for years as a way to help with discipline, both for riders and drivers. Any incident that happens on a bus is recorded and can be dealt with in an objective manner. Many districts are also adding external cameras to deal with a growing issue – other drivers ignoring bus stop arms. According to the National Association of State Directors of Pupil Transportation Services, 70,000 vehicles illegally pass stopped school buses each day. When it happens, the bus driver’s first priority is to make sure students are safe. That means they’re not typically able to identify a license plate. As such, cameras which automatically activate when a bus’ stop arm is engaged are becoming more popular. It’s not entirely clear whether they have much of an effect, though. One example is the Laramie County School District in Wyoming, where state law requires cameras to be installed on all buses by 2016. Although the law is well-publicized, drivers are still passing stopped buses. According to transportation director Merle Smith, the district is still seeing double digit violations on a daily basis. In other districts, though, a deterrent effect has been reported. When a district can afford them and the law permits it, external cameras are more likely than not to be a good idea. Parents can’t control what happens to their children once they get on the bus. That responsibility belongs to bus drivers and transportation administrators. As a parent, putting a child’s safety in someone else’s hands can be frightening. One way you can ease their concern is with Here Comes the Bus®. With Here Comes the Bus, parents know exactly when their child’s bus is near, and can send them to the bus stop at just the right time. No more long waits at the bus stop, and no more missed buses. For parents, such a simple thing can mean a lot. Combined with Synovia GPS and Comparative Analysis, Here Comes the Bus is a powerful tool to keep students safe. You’re always thinking about student safety. 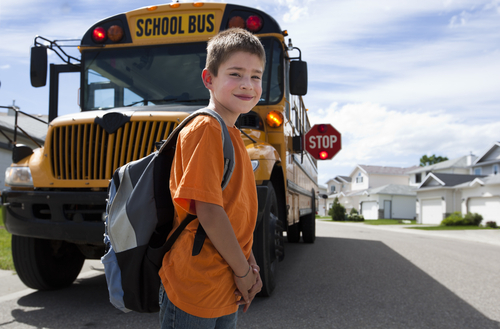 Keep an eye on these bus safety trends while you’re readying for the second semester. With the right knowledge and the right tools in place, you and your parents will be able to rest at ease. 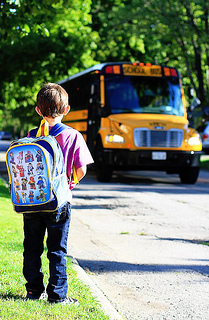 When a bus comes early or late, it’s a major issue for parents and for students. If it’s early, a child is more likely not going to be ready in time and will probably end up missing it. 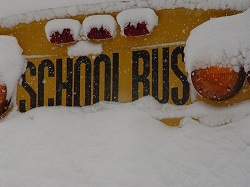 If the bus is late, waiting for it can be dangerous for students due to extreme weather conditions. Either way, a bus that’s not on schedule can throw a wrench in the works for a parent’s day, and make a child’s morning miserable. And it can mean angry phone calls or emails for administrators and staff to deal with. Luckily, it doesn’t have to be that way. Giving parents more information – and having that information for yourself as well – can solve a lot of problems before they happen. And if a bus schedule does go sour, you have the tools at your disposal to solve the problem, and to explain to parents exactly what happened. What’s Here Comes the Bus? Here Comes the Bus is the only mobile device app available in the United States that alerts parents that their child’s bus is near. It launches nationwide for the start of the new 2015-16 school year. It offers two levels of access – basic and full. With basic access, parents can see the real-time location of their children’s buses on the Here Comes the Bus website on any device for no charge. Full access includes that, as well as a smartphone app, email alerts and push notifications, historical information, and an adjustable alert radius so they can decide when they’re notified that their child’s bus is near. How can Here Comes the Bus help with customer service? According to Suzanne Rothenberg, director of public relations and community outreach at the MSD of Decatur Township in Indianapolis, improving customer service is one of the main benefits of Here Comes the Bus. “From the district point of view, we want to focus on the positives – improving customer service, safety and communication with parents,” Rothenberg said. When parents know the exact location of their child’s school bus, they’re less likely to need to call. When a parent calls transportation, it’s usually for one of two reasons. Either the bus is late, and the parent wants to know where it is and when it will arrive, or the bus already came and the parent wants to vent their anger since their child missed the bus. Here Comes the Bus gives you the ability to help parents help themselves. Utilizing Core GPS tracking and Comparative Analysis from Synovia Solutions, Here Comes the Bus allows parents to see where the bus is with pinpoint accuracy. With full access, they don’t even have to remember to check – parents will be automatically notified when their child’s bus enters a certain perimeter, so they’ll know when to be ready. If a parent, for whatever reason, still needs to call, it’s much easier to answer a question quickly and correctly. If a bus isn’t where it should be, a staff member can simply take a screenshot of GPS data and email that to the parent. According to Scott Denton, assistant superintendent for Durham Public Schools, “The ability to do this has curbed the number of what we refer to as repeat callers…those parents who tend to find a reason to call every day about a particular bus.” Denton says that Here Comes the Bus was able to placate even some of the “most vocal critics” of drivers. Here Comes the Bus will reduce the number of phone calls, and make it easier for you to respond to the ones you still get. No matter what way you look at it, the app delivers for parents and administrators alike. Interested in Learning more about Here Comes the Bus? app that enables parents and caregivers to view the real-time location of their child’s school bus using a computer, tablet or smartphone. At the time, Synovia Solutions had just begun a two-month pilot program involving 17 school districts spread across seven states. Now that the pilot has reached the halfway point, we wanted to take a moment to share some information on the program, as well as feedback provided by a few of our participating districts. For the latest, we first sat down with Elizabeth James, Director of Product Strategy for Here Comes the Bus. What would you say is the main objective of the pilot program? To take the feedback we receive from parents and administrators and use it to identify areas that need to be improved before the official rollout later this summer. We want to work out any issues before Here Comes the Bus is officially made available to school districts nationwide. How are you working to collect feedback from participants? Toward the end of the pilot period, we will be distributing surveys to parents and administrators in select schools. Their responses will help us understand what is working, what isn’t, and what features and functionality we need to develop to make Here Comes the Bus even better. These surveys will also address our support model and let us know if our support team is meeting the needs of both parents and transportation officials. From there, we will take everything we’ve gathered and use it to make any necessary updates before Here Comes the Bus debuts at the North American School Bus EXPO Conference and Trade Show (STN EXPO), taking place July 25-29 in Reno, Nevada. Are there particular features associated with Here Comes the Bus that you’ve received more feedback on than others? Parents love the push notifications. They really enjoy the convenience of being able to receive an alert when the bus is near. Just this morning, one of the Transportation Directors involved in our pilot program told me about a mother that has three children enrolled in his district – one in elementary school, one in middle school and one in high school. She heads to work before her children board the school bus, and uses the push notifications to inform her when her children’s buses arrive. She told the Transportation Director that ever since Here Comes the Bus became available, she feels more confident knowing that her children haven’t missed the bus and are on their way to school. What can attendees expect when Here Comes the Bus debuts at the STN Expo? Attendees who stop by our display (#221) will have the chance to directly interact with Here Comes the Bus and have all of their questions answered by our experts. It will be an excellent opportunity for those interested in Here Comes the Bus to speak with individuals who know the technology inside and out, so they can get a real sense of whether or not the product will work for their district. Next, we spoke with Mark Anderson, Transportation Director for the Metropolitan School District of Decatur Township in Indianapolis (IN), which is currently participating in the Here Comes the Bus pilot program. What kind of immediate difference has Here Comes the Bus made as it relates to your transportation department? The number of calls from parents asking about the location of their child’s bus has been greatly reduced. When we do receive calls, our response is always, "Have you signed up for Here Comes the Bus?" It has been a great tool for our parents. What kind of feedback have you received from parents and staff? One mother told me she loves Here Comes the Bus since she works and can text her children when the bus is near, and said the system was well worth the investment. Have parents or administrators at other districts contacted you to find out more about Here Comes the Bus? Two nearby districts have reached out to me recently to learn more. One paid me a visit so that they could see Here Comes the Bus in action, while the other gave me a call to discuss the technology and obtain my feedback. “I am loving ‘Here Comes the Bus.’ It has been amazing for rainy days like yesterday. I was able to tell my daughter when to leave for the bus so she wasn't waiting outside for so long. Outstanding choice!'" To learn more, including how to implement Here Comes the Bus in your district this upcoming school year, call Synovia Solutions toll-free at 1-877-796-6842 or click the icon below. Whether you’re a parent or someone who rode the bus to school as a child, chances are you’ve experienced the struggle of trying to predict the exact moment the school bus will arrive at your stop. It’s a guessing game that affects parents from coast to coast, causing millions of students to wait outside for extended periods of time amidst inclement weather, busy traffic and other roadside dangers – and that’s if they’re lucky enough to not have missed the bus. 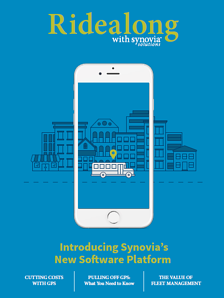 To help make things easier (and safer) for everyone, we at Synovia Solutions developed Here Comes the Bus®, the only mobile device app available in the U.S. that alerts parents that their child’s bus is near. An easy-to-use website and mobile device app, Here Comes the Bus enables parents and caregivers to view the real-time location of their child’s school bus on a computer, tablet or smartphone, helping them send their children to the bus stop at just the right time, every time. In addition to helping parents locate their child’s school bus quickly and easily, Here Comes the Bus lets users access arrival and departure information, receive push notifications or email alerts when the bus is near and track children who ride separate buses. For security and privacy purposes, parents must obtain a private ID number – which grants access to their child’s bus only – to use Here Comes the Bus. For school districts, Here Comes the Bus represents a simple, cost-effective way to reduce bus-related phone calls, increase student safety, improve parent communication and demonstrate a commitment to implementing meaningful technology. Here Comes the Bus is currently being piloted in 16 school districts across seven states. The official debut will take place in July at the North American School Bus EXPO Conference and Trade Show (STN EXPO) in Reno, Nevada. From there, Here Comes the Bus will become available to K-12 districts nationwide in time for the 2015-’16 school year. The best way to make your school system’s buses are as safe and efficient as possible is through careful route planning. Optimal routes will save time and money, and keep your students safe. But even with considerable planning, it’s important to audit your routes and monitor them on a frequent basis. You need insights to how your routes are performing relative to the planned routes. Are your bus drivers following the routes as designed? Did the bus get to its stop on time, and not early or late? Did it make all the stops it was supposed to, or were stops added? Did the bus arrive at the school on time? Synovia’s Comparative Analysis tool allows transportation managers to review the route planning with the actual results. Comparative Analysis tracks key performance indicators like arrival time at school, missed stops, extra stops made, and punctuality so you know how your drivers are doing, and can determine why vehicle routing problems occur. It matches your planned routes to the actual data on both a macro and micro level. For any district, Comparative Analysis can give you a percentage of buses running on time to gauge your overall fleet. And it gives you the ability to drill down to look at specific schools, specific routes, etc. to make adjustments. A transportation director can even monitor buses in real time. With live updates, a route’s current status is always available with an ETA on individual stops and arrival at the school. With the Yard Monitor, you know when buses enter and leave the parking lot so you know as early as possible if a bus is late or a driver is a no-show, and can take the appropriate action. Comparative Analysis provides you with the facts to deal with issues such as a missed bus. Rather than having to take a driver’s word against that of a parent claiming the bus didn’t stop for their child, a transportation director can go to the data to see exactly what happened, and defuse conflict before it starts. Historical data can be provided to tell the parent when the best time would be for their child to get to their stop. Routing adjustments are made to help you optimize your routes and improve your fleet metrics. Is a driver taking 20 miles to drive a 10-mile route because of problems with traffic in the area? Is it driver error? Is the driver avoiding dangerous intersections? Now you have the data to compare what’s supposed to be happening with what is happening, and whether changes need to be made to the plan. The best transportation plan is the one that’s safe for passengers and drivers, provides convenient service for students and parents, and saves the district money. With Comparative Analysis and accurate real-time data and insights, that plan can become reality. As school systems nationwide continue to face cuts in state educational funding, district officials are looking to technology as a way to increase operational efficiencies. One of these officials is Steve Zickefoose, Assistant Superintendent for the Lincoln County, North Carolina school district. Steve and the Lincoln County schools have been using Synovia Solutions for the past two years. We spoke with Steve, who shared how Synovia has helped his district improve operations and reduce costs. As Assistant Superintendent, what keeps you up at night? Just one thing. A continual decrease in state funding. Is that what led you to seek outside help? Primarily. For one, we were looking for a better way to capture employee time for payroll purposes. Drivers were clocking in when they arrived at our transportation building, not when they boarded their buses. This was costing us. We wanted to examine our bus routes and scheduling procedures to see if there were ways we could make either more efficient. We were also concerned about student safety, and needed a way to determine the location of our buses at all times. What were your reasons for choosing to work with Synovia? We had been looking for a partner for the better part of two years, and considered a wide range of options. But no one else seemed to offer what Synovia offered us. There were a lot of monthly data costs with other vendors, and many didn’t have a product that was able to communicate with our current software. With Synovia, neither was an issue. And Synovia was the only group we spoke with that didn’t require full payment up front. With Synsurance(SM), we were able to lease our equipment rather than having to buy it outright. Having a pay-as-you-go structure was huge for us. Not having to present capital up front is what allowed us to afford a solution like Synovia at all. Plus, we knew Synovia had helped several other districts. We knew they were industry pioneers with a proven track record. What was it like to get started? Synovia was in constant contact with us throughout the entire implementation phase. They exceeded our expectations by leaps and bounds by meeting all of our immediate needs. What’s more, Synovia met with us in-person and demonstrated their software using live data from our own fleet. And once it’s setup, there is no need for additional support. The system is so simple to operate. How would describe your overall experience? Our experience has been excellent. We use Synovia to track just about all of our vehicles. There hasn’t been much need to interact with the Synovia team as far as troubleshooting is concerned, but they touch base with us every couple of weeks to see how things are going. We’ve served as a reference for Synovia to other districts on several occasions. When they ask why we recommend Synovia, we tell them it’s because their product is functional, reliable and it just works. Period. Skip the cold and snow – Know when the school bus is coming. Severe temperatures with extreme wind chill and snow has disrupted the start to the school year. What does this mean for students waiting for a school bus? It can result in students getting sick, or worse, frostbite from the elements. What if the parents could see when the school bus was a minute or two from the bus stop in their neighborhood? We have been working very hard to provide this visibility to parents. Our Parent Access tool allows the parents to track where the school bus is located, and it provides an estimated arrival time for the children's bus stop. It alerts parents when a school bus is delayed. And most of all, it gives parents peace of mind knowing their children are making the bus on time and returning home safely – and shows your district’s commitment to safety. Check out this clip from Indianapolis’ WISH-TV News 8 on our implementation at several Indiana school districts. In a winter plagued by storms like the "Polar Vortex," it is rewarding to improve the start to the day for students and parents. Safety begins before they even enter the school bus. A student should never run, even if he/she is running late. Kids should line up by the bus stop and wait until the driver motions for them to enter. They can then proceed confidently, knowing that the bus driver has ensured that traffic has indeed stopped. No throwing things...even if it’s a ball and otherwise meant to be thrown. No yelling. Normal speaking voices will do. No bullying, hitting or other physical violence. Keep your hands to yourself. No distracting the bus driver. No sticking your head or hands (or any other body part) out the window. Keep the aisles clear. Books/bags can be tripping hazards. Once the driver has reached the child’s final destination, make sure students know that the bus needs to come to a full and complete stop before exiting. Failure to do so could result in them resembling a bowling ball going down the bus aisle way, which would obviously be discouraged. It is likewise discouraged to hit other kids in the head with your backpack as you walk by. Students should be encouraged to use the handrail while walking down the stairs to exit. (It is there for a reason!) They should also make sure that straps, drawstrings, and clothing don’t get caught in the handrails or the door. Should homework or a paper fly out from a backpack, students should be aware that they should never chase it under the bus. We know that homework is important, but the student’s life is MORE important. He/She can ask the school bus driver to get it, or they can wait until the bus goes on its way (but only retrieving the paper if it’s not in a street with traffic). If kids have to cross the street after getting off the bus, they should always do so in front of the bus, never behind. That way, the bus driver can keep his/her eyes on them. 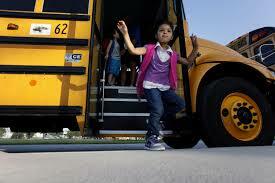 Students should also walk at least 10 feet in front of the bus to ensure that the driver can always see them. If the road is clear, students should cross quickly. If not, they should return to the curb and defer to the bus driver's prerogative as to when to cross. There are certain areas around the bus that are considered “Danger Zones.” They are included because either 1) there is danger from passing cars or 2) there is danger when the bus driver’s sight is impaired. Make sure students are aware of these zones and are encouraged to NOT be in them for extended periods of time - or at all, if possible. By educating your students on bus stop safety, as well as the proper way to ride and exit the bus, in addition to the danger zones, you are well on your way to increasing school bus safety. By educating students on these important areas, you are not only making life easier on school bus drivers, but you could also be saving the lives of students...which is totally worthwhile.